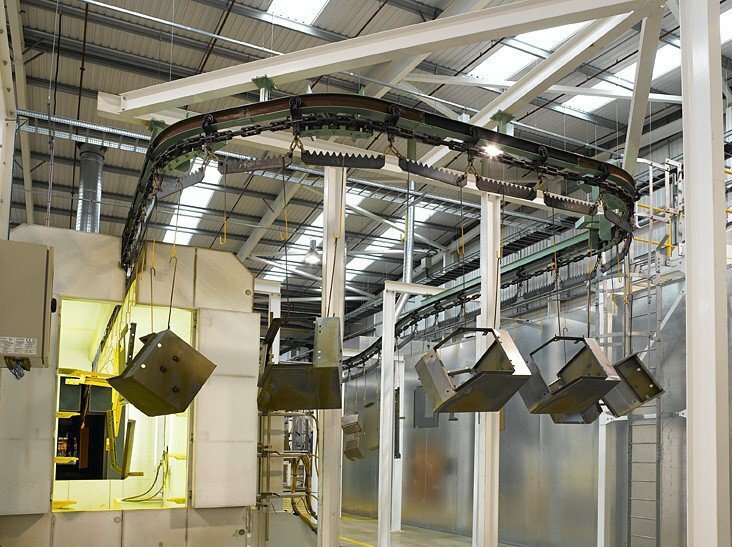 Powder coat finishing is being used to provide high quality, durable paint finishes for a wider range of products and material types than ever before. 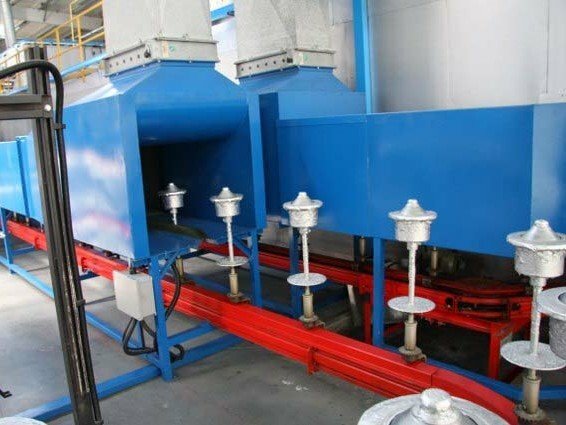 Although the powder coating paint finishing process was originally developed to paint metal items, today it can be applied to plastics, glass, wood and medium density fibreboard (MDF). Compact and able to handle tight curves to minimize the size of the paint booth or fluidized bed and ovens. Able to withstand temperatures up to 450 degrees fahrenheit during curing. Can endure the the harsh chemicals used during the washing, degreasing, outgassing and sandblasting processes. Offer hooks and carriers suitable to hold or hang the particular items being powder coated. Metal furniture items are carried by hanging rotators through the powder coatng process using the compact PAC-LINE™ enclosed track conveyor. 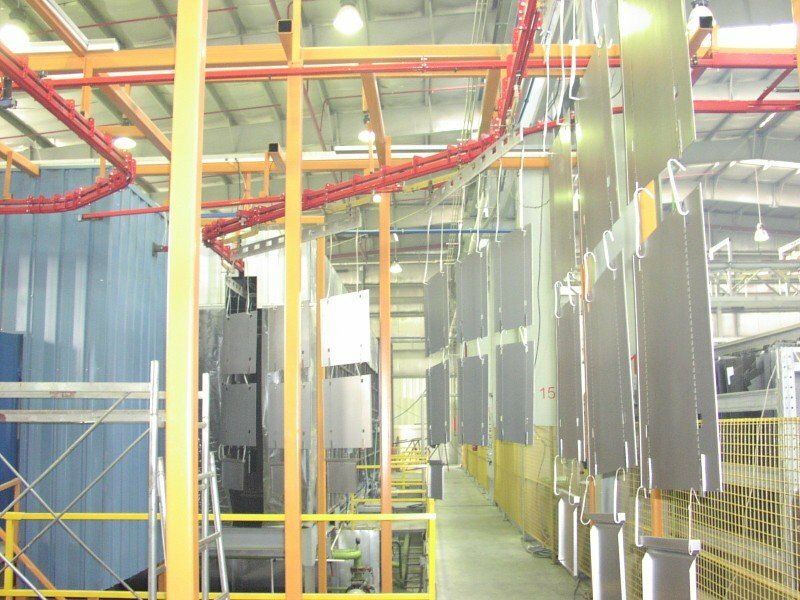 This power and free conveyor system transports metal desk panels, hanging 3 levels high, through three separate powder coating paint booths and at variable speeds as required. This PAC-MAX™ conveyor is installed slot sideways to provide improved stability and better protection for the moving chain from paint and contaminants. 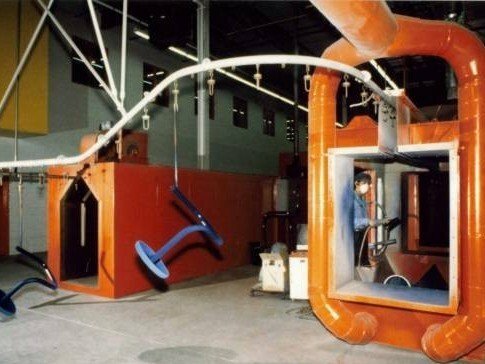 This powder coat finishing operation uses the the PAC-BEAM™ I-Beam conveyor to handle large parts through the powder coating spray booth and curing oven.